Although the administrators and moderators of Viper Registry / Viper Truck Registry & Research Forum will attempt to keep all objectionable messages off this forum, it is impossible for us to review all messages. All messages express the views of the author, and neither the owners of Viper Registry / Viper Truck Registry & Research Forum, nor vBulletin Solutions, Inc. (developers of vBulletin) will be held responsible for the content of any message. The owners of Viper Registry / Viper Truck Registry & Research Forum reserve the right to remove, edit, move or close any thread for any reason. 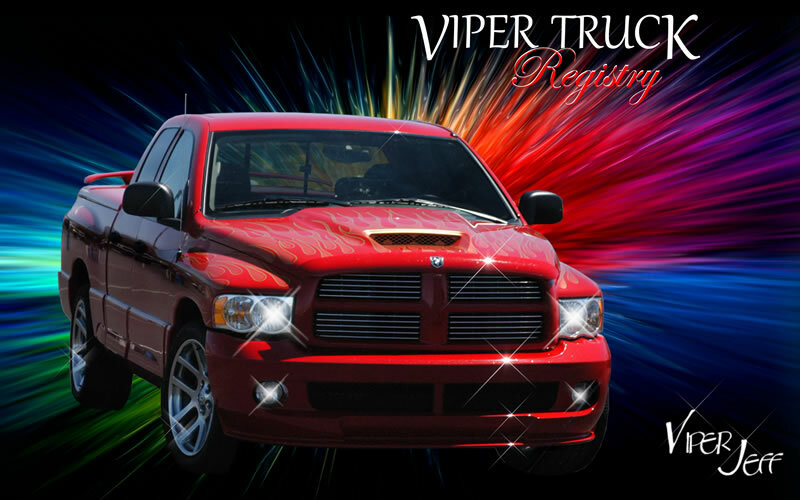 I have read, and agree to abide by the Viper Registry / Viper Truck Registry & Research Forum rules.